The things which keep people here ought not be mocked - things like the Speedway are actually a pretty good example of the small examples of things which make the town more interesting. Hi Tobes - I was being a tad 'cynical' in my comment about the speedway, but honestly what does speedway bring to the town? I loved watching stock car racing at Blunsdon but that's long gone with no detrimental effect on the town. I fancy the same applies to football - I recall the days when corporation busses lined County Road having brought tens of thousands of supporters to watch the 'Town' - average gates of 7,500 are hardly likely to make a huge difference to the commercial import of the town. Ah the famous Felden Clegg report - again forgive me for being a sceptic but what did anyone expect from the report. To imagine the MI as being in the centre of town requires a stretch of the imagination but I will accept it could be. I do accept the need to develop a clearly defined route from the Outlet into the town centre BUT after spending money in the Outlet what inducement is there for anyone to travel from North to South and visit Swindon's town centre? I suppose the corrugated water feature - which isn't a water fetaure at all (given the absence of any water) - the numerous art works hidden round street corners or the new library which while considerably better than its predecessor is still not a stunning experience. The MI is a lovely building BUT is it any better as an example of architecture than the Old College in Victoria Road? The 'thing' which makes the MI different is its context with regard to the railways. A point recognised by the 'star' awarded by EH. Like Richard, I hope the MI can be 'saved' but I repeat my original concern - saved as what and for what. Tobes - didn't the Edwardians demolish much of what the Victorian built in order to demonstrate the superiority of their architecture and to display their aspiration for something better and didn't the Edwardians destroy many Georgian and Regency building s for like purpose? I don't think it is compromise on both sides Tobes, I don't even think there are two sides. ICDT is way off the mark - a great idea maybe, but sadly I have more chance of being the next emperor of China than that has of becoming reality. There is only ONE choice - let the private sector develop the place. This argument has been going on for as long as I've known Swindon but no-one has come up with a solution that is financially viable. Still if people keep rambling on with unrealistic ideas then the place will fall down of it's own accord. That said I do agree with the rest of your plea. I went to Camden Lock in the 80's and have been in 00's. It was bought for hardly anything by 3 friends via a limited company. 20 yrs on it went from worthless to a place to visit and an important part of Camden putting Camden on the Big map. Most foreigners visitting the UK know about Camden Market.. In 1973 Camden Lock was opened by Northside Developments Ltd as the original arts and crafts market; a makeshift collective of workshops and traders set against a rich industrial heritage. The early development revolved simply around the old wooden sheds and cobbled yards. As the first Market in Camden, it immediately stood out from London’s other markets for its eclectic mix, and soon attracted the vital group of entrepreneurs and artists that first generated the Camden Town ‘buzz’. For young artists, the Lock studios offered a new opportunity to rent a space where they could sell their work, and for customers the chance to see their goods being made – a rare thing in modern London. Goods are still designed and made on-site today and studios are open to the customers. During the 1980s Camden Lock’s vitality began to spread. Shops up to Camden Town Tube Station, which were previously let at peppercorn rents, began to become very desirable. Camden Lock didn’t stand still either. 1991 saw the opening of the Market Hall, a glass-roofed arcade designed to merge with the surrounding Victorian architecture that met with high praise from the architectural press. In 1999 the Market Hall was extended, and in 2003 the East Yard was covered with a Victorian-styled steel and glass canopy. Also in 2003 the West Yard wharf, one of the original areas first redeveloped in the 1970s was further opened up and refurbished, and the first floor walkway extended to form a terrace overlooking the wharf. Today Camden Lock stays true to its original principles and attracts both Londoners and visitors from all parts of the globe, eager to come face-to-face with some of the capital’s most creative people. Another interesting note is how many Jedi are there. Remember Luke Skywalker lives in Swindon and works not far from MI. I think Jedi Church, interesting is. Yes Camden is Camden and Swindon is Swindon and this has been going on since 1986, hasn't it? I fail to see how a mixed use of retail, public centre, trade, link to town centre, etc is any more "way off the mark" than trying to find an individual business venture. We have a town which was once a respected centre of industry which is now a scorned conurb - a sort of 'town of last resort' in the eyes of many: A place in which people live because of their employment or because they can't really afford to live elsewhere. Really truly loyal residents who live here because they choose to are an ever rarer - and frequently ageing - find. That's why I 'm getting out of this crap hole. Attempting to defend the town's image is totally pointless. Simply it is not a good place for retail - there is plenty of that in Swindon. Talk of a link to the town is fanciful nonsense, the whole of the area is listed. I think Tobes point is that these small things make the town more interesting. The football club, speedway, theatre, ice rink, golf courses probably don't bring much revenue to the town, but these things give the town an identity or soul. Without them Swindon would just be a bunch of non-descript identikit houses. Lydiard Park, Coate Water etc don't generate much income, but they make the town a better place to live. I recall reading one of Bill Bryson's books years ago. Having lived in the UK for several years he returned to his native US and was disappointed by what he found. He remembered the old US diners with individual character and menus. When he returned they had been replaced by large corporate chains, KFC, McDonalds, Denny's etc. He found that every small town had become identical. The little things give the town character and make it unique. They may not produce much income but if I understand the latest proposals correctly they are about to be privatized and will as a consequence produce no income at all and we lose control of their usage to boot!! Flies in the face of everything Bluh and Edwards claimed as an excuse for Wi-fi when they said they had to look outside the box for additional income to Council Tax. If having plenty of retail in Swindon is a problem then the whole place is doomed. If the area being listed is a showstopper, then a mixed use public operation is still no more "fanciful nonsense" than selling off the heritage to a fat cat hotel business. Swindon, at times, seems to be very good at hand wringing, and the Mechanics Trust is a pretty good example. If they had gone about raising money with which to acquire the MI they might possibly have had the £500,000 that Mr Singh paid for the MI in 2003. It's all well and good getting a * listed status, but that has consequences - as the saying goes "the road to hell is paved with good intentions", actually I think "hell is full of good meanings, but heaven is full of good works" is more appropriate. I wonder what the founders of the MI would think of the Mechanics Trust who seem to want someone to give them the MI for nothing and then for someone else to pay for it to restored? What would they think of the generations of Swindonians who didn't build upon their efforts (largest town without a university is nothing to be proud of)? They are the things which, if it were any other form of consumer product, would be called it's 'brand'. They are the things which provide the balance in the list of elements which shape people's perception. On the plus side of the ledger, we have functional things like perceived high employment, cheap housing, closeness to countryside, good transport links - but these also extend into the more esoteric such as having a theatre (even if most of what it puts on is distinctly mediocre, it does still host nationally known comedians), and Arts Centre, a football club (even if you don't follow football, outsiders will be aware of Swindon's name purely through football results on the national news), Speedway (also reported on regional and occasionally national sports news), interesting, unique or beautiful buildings etc etc. They in part help offset the easy to perceive debit ledger for Swindon's brand: the perceived ugliness which is regularly commented upon, the concrete 60s buildings in decay, the jokes cracked by commentators and comedians in the press, scandals caused by civic figures and local politicians, the endless drip-feed of negative stories such as the loss of heritage, expansion of estates without commensurate infrastructure investment, loss of jobs etc. You can do the exercise for yourself. Write a list of good things about Swindon. Write a list of bad. Get someone else to do it as well. Compare. You'll soon see that the things to which people ascribe little direct financial value, actually have a value to Swindon's brand out of all proportion to either their cost or direct revenue. Consider what aspects of a town's brand influence who'd live or invest there. Consider how that influence in turn alters the demographic make-up and character of a town's population. This is a basic fact which our self-elected business and planning moguls continually fail to grasp, because like most minions of the concept of high capitalism, they don't have the emotional intelligence to understand that important things get missed off of the balance sheet if you treat an organic community like a financial accounting exercise. There was a discussion down the pub the other day as to the collective attitude of far too many local politicians and businessmen to the type of development and investment we get in this town at the moment. Someone rudely and graphically mimed it thus: Bending forwards at the waist and grasping his knees, he gave a grimmace and said 'Thanks! And please wipe your **** on the curtain on the way out'. I can't argue with that widespread perception. I can't think of another town in which so many good and hardworking people so regularly and openly express the feeling that their town is in overall cultural decline (whatever the latest press release about Regents Circus made in the Adver.) The reasons why they feel that way are writ large in the form of empty but once beautiful buildings like The Mechanics and The Locarno and the waning of the parks, open spaces, and community cultural pursuits ranging from Coate to the Arts Centre. If things like the speedway close and aren't replaced, we've just taken a step further into turning Swindon into an anonymous purely functional collection of concrete boxes alongside a motorway and a railtrack. Consider what aspects of a town's brand influence who'd live or invest there. Consider how that influence in turn alters the demographic make-up and character of a town's population. Christmas was an interesting one this year, as it was largely spent as a foursome with my friend, and our girlfriends--respectively American and Spanish. As such, we were on host duty, and in return we got to see our hometown through their eyes: It's bleak. We're from a bleak, bleak identikit town. Vapid and commericalised. Bolt on estates. Cheap and temporary. Glass and sales signs. Lydiard. Coate. Queen's Park. Town Gardens. Beehive. Gluepot. Steam Railway. Los Gatos. Outlet. Cycle path network. Railway Village. There's really not a lot of idiosyncrasy or humour or flourish or design in Swindon. You really notice the lack of stimulated people. I think the lack of a university has really capped this town's potential. Swindon's a depressed town in that it consistently lowers the bar for it to trip over. It's timid in its ambitions, turning to conservative tried and trusted answers: more off the shelf housing. More drive-to chain stores. It's as its morbidly accepted its role as an insipid national punching bag. The Mechanics is just a building. It's imposing but not overly beautiful. Muddled in acrimonious politics and a ladled money pit. But when I started telling the story of how it came about, who built it, what it was used for, the American in particular got quite upset that something like that had been forgotten. I think most people are. And that's what I think people are banking on, when they push for its rebuild. That it'd mark a cultural yardstick. It was originally built as a place of self-betterment, and that it could once again come to represent a cerebral jump for Swindon into the possible. With that much space, and its multiple uses, and its location, I can't see how if it was run by a skeleton committed staff, rather than profit hungry businessmen or a lumbering SBC, that it'd fail not to make a small annual return, even if it was burdened with its development debt. Incidentally, for my final two cents more, I would prefer for it to be rebuilt more slowly. Used as a training site for junior craftsmen, sculpted and reopened bloc by bloc. Universities do add to the character of a town, you get a bunch of 18-21 year olds who aren't in the position of working all day or having to live off benefits, that brings in people with a totally different outlook on life into the town. Personally I can't help but think that the Kimmerfields/Union Square development should have been touted as a potential university campus. Might never have worked but they could at least have tried flying the kite. Trouble is as we all know students (and academics) have a tendency to be left of centre politically and the very idea of having some very intelligent left wingers in Swindon must scare the living daylights out of some of the rabble in charge of SBC at the moment. What would a Professor of Computer Science have said if asked to comment the town-wide WiFi for £400,000 business? I doubt it would have been complimentary! Going back the MI the natural progression of the MI should have been to become a technical university and personally I think that is a more damning statement about Swindon than the physical state of the MI. It shows that the spark that the founders of the MI had seems to have been snuffed out. Isn't that the same the country over, the Mechanics, in fact the whole railway village is part of our countries manufacturing past. Is is something to get dewy eyed over? I don't think so. Look up and down the country and there are examples of Victorian manufacturing infrastructure that has been brough into modern use and normally without public money. The Mechanics is simply not worth getting sentimental over at the expense of leaving it as the eyesore has become for the last 20 years. Murray John envisaged Lydiard House and Park as the campus for a University. We do have enough connections with Bath, Oxford Brookes and Cranfield - do we really need our own university? It will certainly be a big hit with the buy to let crowd! It's almost 30 years and yes I agree with Ph1lc if for no other reason than we have to stop indulging in a belief that £10 to £20 millions (dependant on who you believe) will be made available to do the works neccessary to refurbish the building and put it to some social or commercial use. I understand the council is looking at a seven figure bill for maintenance work on the Milton Road Health Centre, should we consider knocking it down and building a modern building? Sadly I don't think that's good enough any more, in the 80/90s maybe, but not now. Swindon is already getting to close to a 200,000 population once the addition 26,000 homes in the local plan are built it'll be over 250,000. A lot of people aren't happy that Swindon keeps getting more and more housing but no decent new jobs. Perhaps not having a university plays a part in that? I do agree that the BTL brigade will be over the moon. Re: Mechanics Institute - Disclaimed bona vacantia freehold escheats to Crown at last. Today (7.2.14) I got letter from TSOL that they have finally disclaimed both plots for the MI on 4.2.14 and now both plots escheat to the crown and can be sold by Burges Salmon. SBC as the only charge holder will have to make up its mind.. Does SBC want the building and will SBC take ownership or will SBC release the charge and let the building be sold. It has taken a while but the TSOL kept getting Forefront Estates Ltd. mixed up with Forefront Ltd. Doh. With email it is easy to persist in asking questions over and over.. took a few resends and linking to web pages/PDFs. Seems TSOL are not that Tech Savvy.. So anyone fancy forming a Community Interest Limited Company and see if it could become the new owner? If it did then shares could be offered/sold to people wanting to support the CIC, grants could be sought and volunteers sought to help out. Any one got serious suggestions of ways of using such a big empty shell..? One idea I like is a home for Luke's Star Wars Museum, another an Art Gallery for the Art College students. Wonder who owns the scaffolding around the building? Does it belong to a new owner? If not could a new owner charge storage rent? "So anyone fancy forming a Community Interest Limited Company and see if it could become the new owner? If it did then shares could be offered/sold to people wanting to support the CIC, grants could be sought and volunteers sought to help out." 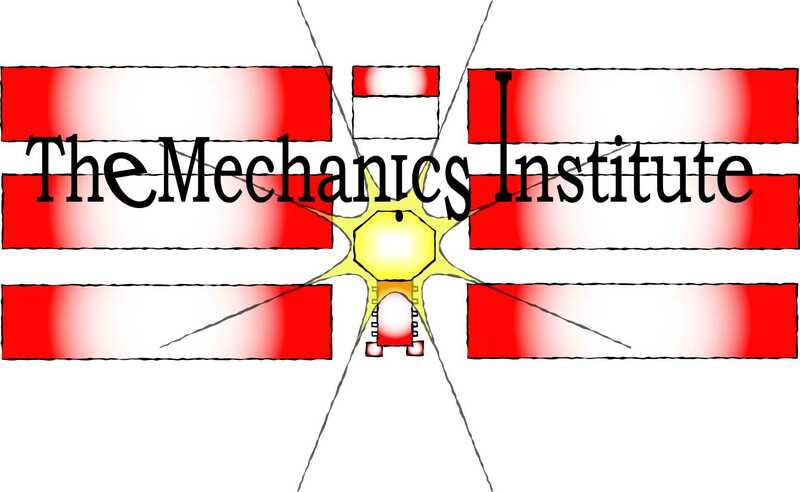 Surely the Mechanics Inst. Trust is best placed to do that, for a new group, just setting up that charitable company would take a while, to get the funding would have to produce all the stuff that the Trust probably have already waiting. Imperfect though they might be, they are the best place to start. A new building responsibility should concentrate their minds to do better, if they need to. The council won't want to buy it, they are trying to get all their leisure buildings hived off to local groups as it is. And I can't help predicting that in the haste so to do, many groups will be set up to fail and a real mess will ensure thereof. They might think that it's Ok to set up charitable activities with councillors filling empty trustee places, but this is not viable and of the worst practice. Whoever can do whatever but they should actually have money in hand with which to do it - at the very least pay for security, maintenance and insurance. Not promises or plans to get money from x, y or z, but real money. The reserves in the last set of Mechanics Trust accounts (to the 31/05/2013) were £7,456. Personally I don't think that is anywhere near sufficient, so hopefully that'll rule out the Mechanics Trust. Plenty of Swindon/Wiltshire charities have shown themselves to be capable of doing what the Mechanics Trust has failed to do, raise hundred of thousands per year through activities ranging from sponsored walks to charity shops to corporate money raising. But what they have got - I believe - I could be wrong is a group already set up. The group is already a legal entity. Some cash in the bank to keep them viable whilst they seek the funding to do the job, which would come quicker if they had a hope of getting the building. They have all the proof of the importance of the building not just for Swindon but nationwide. The business plan on the shelf somewhere, ready to dust down and reword if necessary. Relationships built with the right people. And the 'passion/will to do it, because anyone who takes this on, with none of that, will be doing so in a foolhardy manner will soon find themselves coming a cropper. Anyone who hands over anything this big over to a brand new, not 'management practiced' group of people will be taking a huge risk. And the Mechanics building would be 'out of the frying pan and into the fire'. Page created in 1.007 seconds with 26 queries.